Life has been great lately. In the last three weeks I have been to Miami, New Jersey, Pennsylvania, and acted as a tourist in my own lovely Manhattan. I seriously had no idea how incredible Miami was. When I booked this trip on a whim, with a discounted ticket from Christmas, I had low expectations. I simply wanted a long weekend to relax and get some sun. Little did I know that this would, quite possibly, be one of my favorite trips in the states. Picture clear blue ocean as warm as bath water, white sandy beaches, endless bottles of champagne and a group of instant best friends. We did Miami right. Who would have thought that staying in a hostel filled with strangers would end up so perfectly. *Side note: our hostel was more like a mansion with glamorous vanities, a roof infinity pool, complementary limousine and the happiest of all happy hours. It was the ultimate getaway for a 22 year old gal. We swam by day + danced by night. Every morning we woke up laughing at the stories from the night before. Caroline and Grady were waiting for me in New York when I landed from Miami. Their trip was short and sweet, but boy was it fun to have my BFF in my favorite city. Even though I was busy with work, we still managed to fit in a few tourist-y adventures. 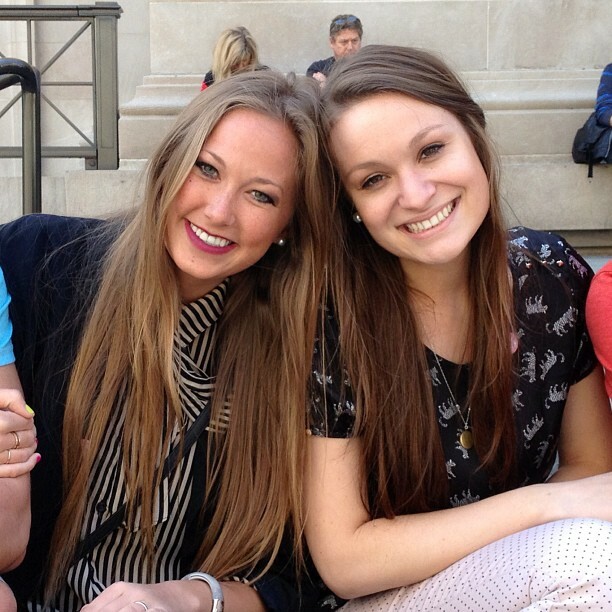 (AKA Blair and Serena on the steps of the Met). Already DYING to have my caroline back! But guess what!? She's a teacher now! That's right ladies and gents, I will be the first to announce (because she never blogs) that Mrs. Smith will soon be teaching English at Mountain Crest High School in Logan, Utah! #TILF of the year baby! 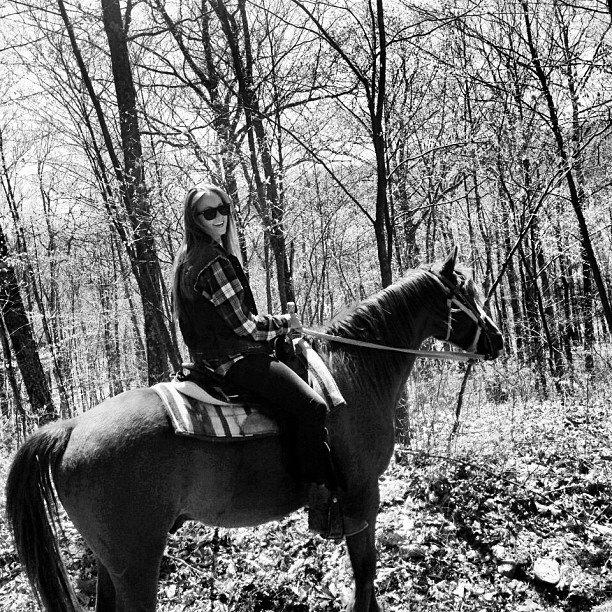 Last weekend Katie invited me, Taylor and Lydia on a little road trip to the Poconos Mountains to our new favorite place, the Malibu Dude Ranch. Any East Coast readers out there- GO TO THIS PLACE!!! You will not regret it. Ranch life was the best way possible to kick off my summer. We rode horses all day(mine were Big Red and Cheyenne), canoed while the sun set and roasted marshmallows under the stars. Do you know how long it's been since I've seen the stars!? You know how in Dirty Dancing the staff works in the day and then mingles with the guests at night? That's exactly how this place was. We became BFFs with the ranch hands and cooks. Anyways, if you want a quick get away, I highly recommend it. PS - The Cake Boss was there during our visit. Unfortunately I can't post pictures of the cake (yet)... it has to be a surprise. Duh! But, look for me in the rodeo episode that airs in September. Yay! Made it to TLC guys! Anyways. More to come. Love you lots. Sounds so fun! I think I need a trip to Miami! Where did you stay? Seems like an awesome trip!